Euro style rocker switch is LED illuminated. 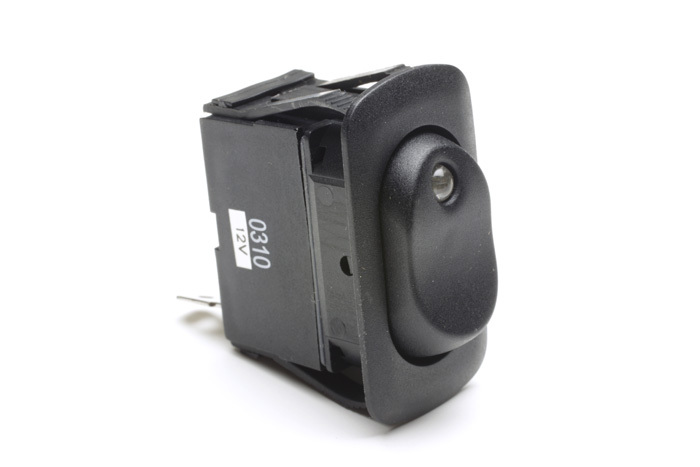 ON-OFF Single pole rated at 20 amp 12 volt DC. Switch, Rocker, ON-OFF, LED, illuminated, Amber / ea. Switch, Rocker, ON-OFF, LED, illuminated, Blue / ea. Switch, Rocker, ON-OFF, LED, illuminated, Green / ea. Switch, Rocker, ON-OFF, LED, illuminated, Red / ea. Switch, Rocker, ON-OFF, LED, illuminated, White/Clear / ea.